To find passion in your work? Perhaps the issue is more with the people who work for you? As the keynote speaker Morten Hansen, addressed both Passion and Purpose in presenting to our Denver ScaleUp Summit audience. P-Squared, as Hansen coined this attribute of performance enhancers, is the second highest contributor to improving work productivity, increases performance by 18%! Those who do best, Hansen shared from his book Great at Work: How Top Performers Do Less, Work Better, and Achieve More and survey of 5000 leaders and employees, have answered the question: How can I lead with Passion and Purpose? Passion: Doing what you love, what excites you! To be passionate about work is to feel energized by it, to experience a sense of excitement and enthusiasm. More on this in a minute. Passion can be a quiet, inner sense of satisfaction and contentment. To some it’s a louder, “Let’s go!” kind of thrill. Scholars and self-help gurus advise we organize our lives around contributing to the well-being of society. This is what Hansen terms as Purpose. Hansen shared how to grow passion. Passion is multi-dimensional. 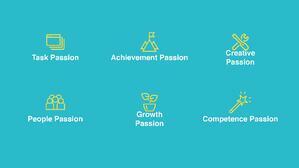 He discovered in his survey people can have task, achievement, creative, people, growth and competence passion. Hansen believes we’ve been thinking about passion all wrong in our careers. Some of us believe we should follow our passion, regardless of our chances of success. Others assume we must pursue a career and earn money irrespective of whether it taps into our passion. Neither of these options is attractive. As a result, we can bounce between the two, unsure of what to do, groping for the best way forward. In my own career I found myself always searching for my elusive passion, until finally discovering it in my early 40’s. Hansen’s research uncovered a third option: “matching.” Some people pursue passion in navigating their careers, and they manage to connect this passion with a clear sense of purpose on the job—they contribute, serve others, make a difference. They match passion with purpose. Purpose can mean creating value for an organization. Just because you’re not helping homeless people on the streets of Chicago doesn’t mean your job lacks purpose. Hansen’s study defines purpose more broadly: You have a sense of purpose when you make valuable contributions to others (individuals or organizations) or to society that you find personally meaningful and that don’t harm anyone. Why is matching passion and purpose so effective? Hansen first believed it enhanced performance by spurring people to work longer hours. If you love what you’re doing and find it purposeful, you hit the office earlier and leave later right? Their data indicated otherwise. Among 5,000 participants, people who scored high on passion and purpose worked an average 50 hours per week compared to 43 hours for those who scored low. Seven hours seems like a lot but analysis revealed those additional seven hours didn’t enhance performance much, only 1.5 percent. Passion and purpose didn’t compel people to pour 70 or 80 hours into their jobs. They'd stumbled upon a mystery: Why did passion and purpose correlate with performance? What’s the magic of P-squared? It provides people with more energy to channel into their work. Not more hours as in the “work harder” paradigm, but more energy per hour of work. A study of 509 employees in an insurance company showed those who were passionate about their job channeled more energy to their working hours: they were more absorbed in job tasks (“when I am working, I am completely engrossed in my work”) and paid much higher attention to their tasks. Being absorbed and paying attention in turn improved employees’ performance. 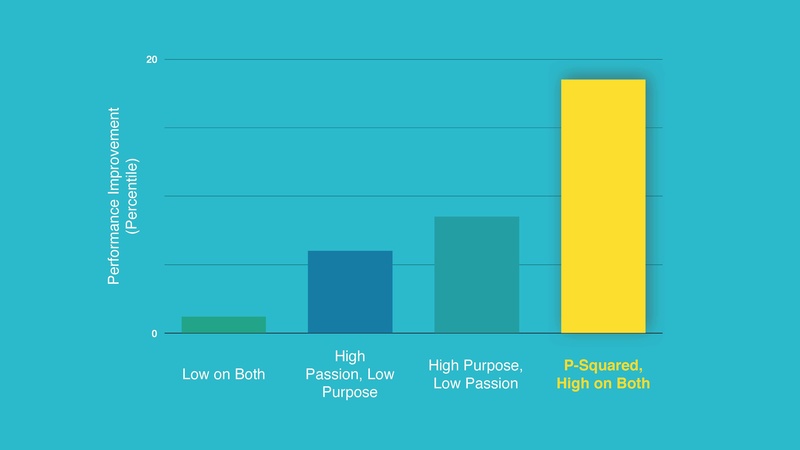 Is there more to this equation of P-squared (Purpose & Passion)? 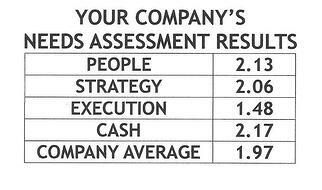 Achieving Execution Excellence requires getting your team to work with Purpose and Passion. We’ll explore much more on Great at Work and the P-Squared idea in future blogs. 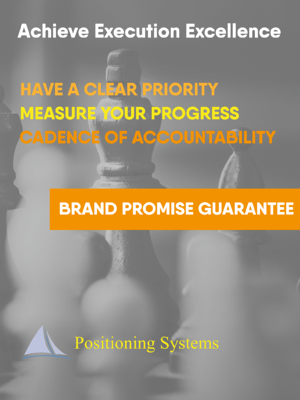 Positioning Systems is obsessively driven to improve your business and your teams execution. 3 Strategic Disciplines: Priority, Metrics and Meeting Rhythms help your business dramatically improve your forecasting, individual and team performance to create alignment. It empowers your team to achieve accelerated growth. 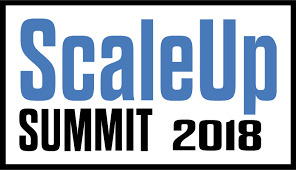 Chis Yeh, our next speaker at the Denver ScaleUp Summit coauthored the book Blitzscaling: The Lightning-fast path to Building Massively Valuable Companies. Companies rise and fall faster than ever before. Blitzscaling is the pursuit of rapid growth by prioritizing speed over efficiency in the face of uncertainty. Sound chaotic? There are 8 Counter Intuitive Rules to scale like this. We’ll share them next blog.